Episode 21 Doctor Money Matters. Welcome to another Doctor Money Matters episode. I would like to thank you for listening. It’s been a year since I started this podcast and creating it has been a great educational experience for me. I really appreciate all my guests for participating and joining me on this journey and I hope you the listener have gotten something out of it as well and my ultimate goal is to help physicians and other health care professionals reach financial independence earlier by avoiding the usual pitfalls that has tripped them up previously. I have made many of these mistakes including buying a house in Las Vegas right out of residency at the height of the real estate bubble. I didn’t listen to my own instincts and bought a house even though I knew the price was too high. Well within a few months, the prices dropped and kept dropping for 4 years till prices were 60% less than my purchase price and 70% less than the peak. It was an expensive lesson that has definitely affected my views on personal real estate. 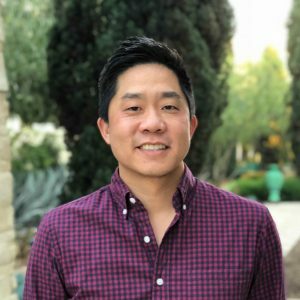 My guest on this episode is Dr. Peter Kim, an anesthesiologist, entrepreneur who helps physicians with one of the biggest purchases they have, their home. Peter is the founder of Curbside real estate which we will talk about on the show. We discuss his approach to buying your own home, what a physician loan is, the status of the real estate market. We also discuss how is able to juggle being a physician, father, entrepreneur and his advice for medical students and residents. I want to thank Dr. Peter Kim for being my guest on this episode of Doctor Money Matters. Buying a home is one of the largest purchases most of us will make, but it can be made easier by getting good advice. My advice is that a personal residence is not an investment but rather an expense item. It can turn out profitable but I wouldn’t rely on it to appreciate. There are many others, so please support your physician colleagues.